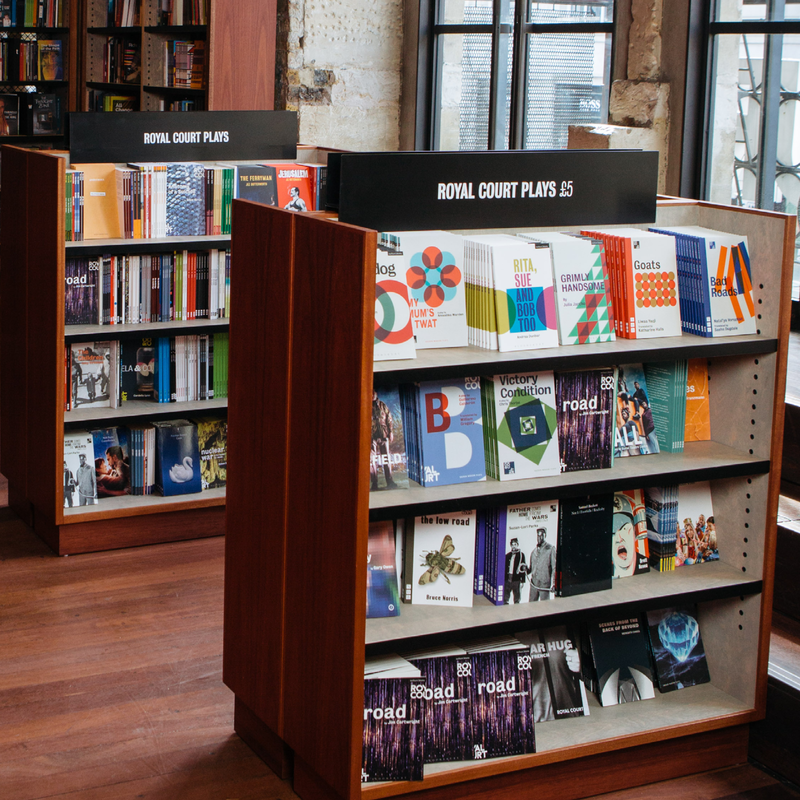 The much-loved Samuel French Bookshop is now open for business in a new home at the Royal Court Theatre. For nearly two hundred years, Samuel French has been a haven for theatre lovers and theatre makers in London, stocking a huge range of plays and theatre books, and offering expert advice. Now, the bookshop is reborn and reimagined at the Royal Court, one of the most important centres of new writing in British theatre. It occupies the beautiful Balcony Bar on the first floor. Simon - our shop manager from the store on Fitzroy Street for thirty years - is again on hand to help and answer questions. The shop is a friendly place to browse and read, enjoy a coffee and take part in live events with playwrights. At the heart of a wide range of plays and theatre books is our unrivalled selection of Royal Court Play Texts. Scripts for current productions sell for just £4.00, and for many past productions at only £5.00, while stocks last, both in store and online. You won't find these amazing prices anywhere else! Scroll down or click here to browse the Royal Court range now. The main shop is open from 11am to 5:30pm, Monday to Saturday, and there's a smaller bookstall in the bar area on the lower ground floor which opens from 6pm to showtime on nights when performances are taking place. The bookshop is closed on Bank Holidays. We look forward to welcoming back customers and friends from the old bookshop, and meeting many more theatre lovers in our new home. You can find us at our new address: Samuel French Bookshop, Royal Court Theatre, Sloane Square, London SW1W 8AS. The Royal Court is next to Sloane Square station (District and Circle lines) and the local area is serviced by several bus routes. The Royal Court is also a 15 minute walk from Victoria Bus, National Rail and Underground stations. Good Friday (19 April): Closed. Easter Saturday (20 April): Open as normal from 11am until 5.30pm. Easter Sunday (21 April): Closed. Easter Monday (22 April): Closed. Get the next 10 scripts for new Royal Court shows, delivered as soon as they're published. We regularly run free events where we'll have a chat with a writer, offer the opportunity for audience members to ask questions about writing for the stage, and to get a copy of the playtext signed too. Events are free and you don't need a ticket to attend. Please sign up to our mailing list to hear about upcoming events. Play texts for Royal Court productions past and present can be purchased both in store and from our online shop, many for just £5.00 while stocks last. 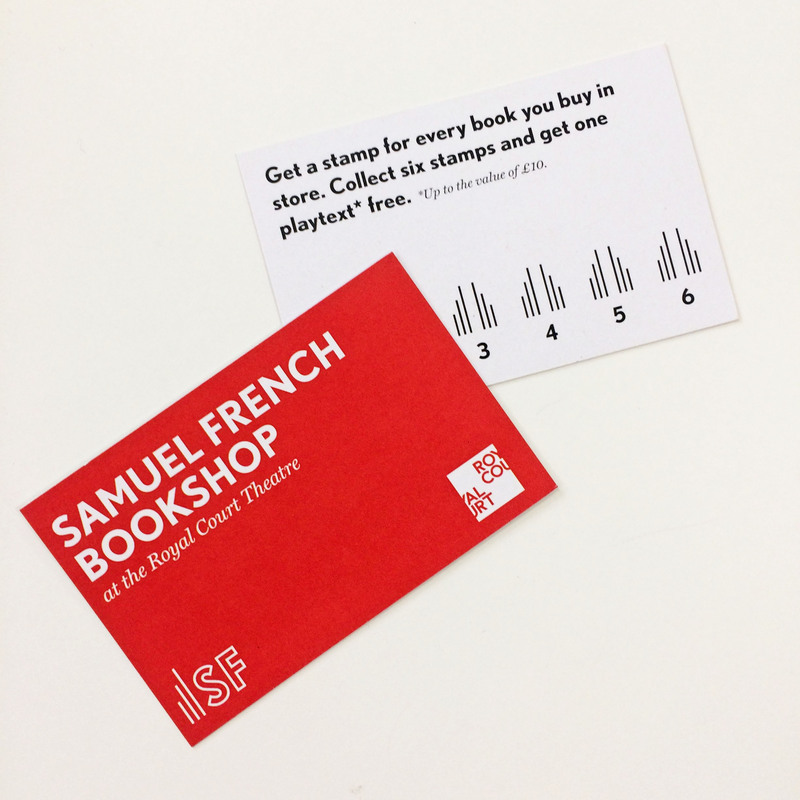 If you're buying a script or drama book in our Bookshop at the Royal Court, make sure you pick up one of our new loyalty cards. If you purchase 6 books in store and collect a stamp for each, you can get one playtext (up to the value of £10) free.